This series is allegedly connected to the Marvel Cinematic Universe or MCU, which means this series exists along side the blockbuster movies in league with The Avengers (2012). 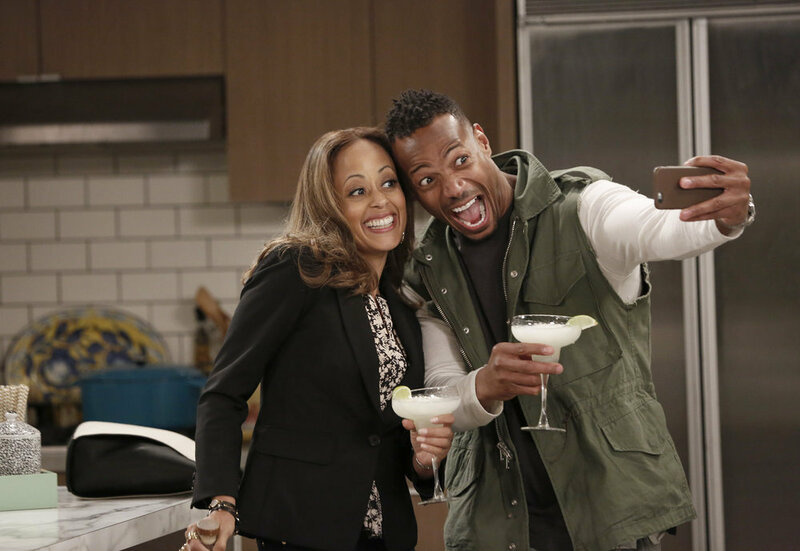 This series is notable because it’s a predominantly African-American or black cast. Earlier this year, the MCU had its first film that was also predominantly black in its cast, as well as a black protagonist. That film was the smash hit, Black Panther. Unfortunately, this series doesn’t really follow or comment on Black Panther. It would have been incredible if this series picked up on the themes or implications of Black Panther and actually reckoned with the threads left dangling at the end of that film, but no. We don’t even get a shout out to Wakanda here. One shouldn’t be surprised that an obvious connection to Black Panther wasn’t made. This series as well as the other TV series in the MCU, specifically the ones on Netflix haven’t been great with connecting to the bigger movies whether it be through narrative or thematically. While one would have hoped that some direct reference to Black Panther, which was four months ago, would happen here, the hope for some reference to Avengers: Infinity War, which was only two months ago, seemed next to nil. The reasons for such are twofold. One is budget. Referencing the blockbusters is practically pointless, if the series couldn’t deliver with visuals or actors from those blockbusters. However, there are ways around it but these series don’t even bother to acknowledge the events in the movies in ways that feel proportional. The Avengers revealed not only the existence of super-heroes but also alien life. Yet, these shows never treat that with the proportional reactions that people would have. Most people go on as if it never happened. How would black churches explain or talk about alien life? The other reason the TV series don’t reference the bigger films is because the overshadowing that might occur. Some might argue that there is no point to a character like Luke Cage when characters like Iron Man, Dr. Strange or Spider-Man exist in New York City. Those characters are so much more powerful and skillful than Luke Cage, all he has to do is call on them and his problems would be solved. In that regard, it makes sense that this series should reference Avengers: Infinity War because that movie literally removes that issue. Yet, this series doesn’t have a problem referencing other series in the MCU. Last year in 2017, Netflix gave us Iron Fist and The Defenders. Unfortunately, both those series were underwhelming, but this show makes fit to bring back the character of Iron Fist. Iron Fist is supposed to be this great martial artist with this amazing powerful hand. Sadly, this show still can’t make him interesting in terms of well-choreographed action. Finn Jones who plays Danny Rand aka Iron Fist is still the lamest action star the MCU has ever employed. 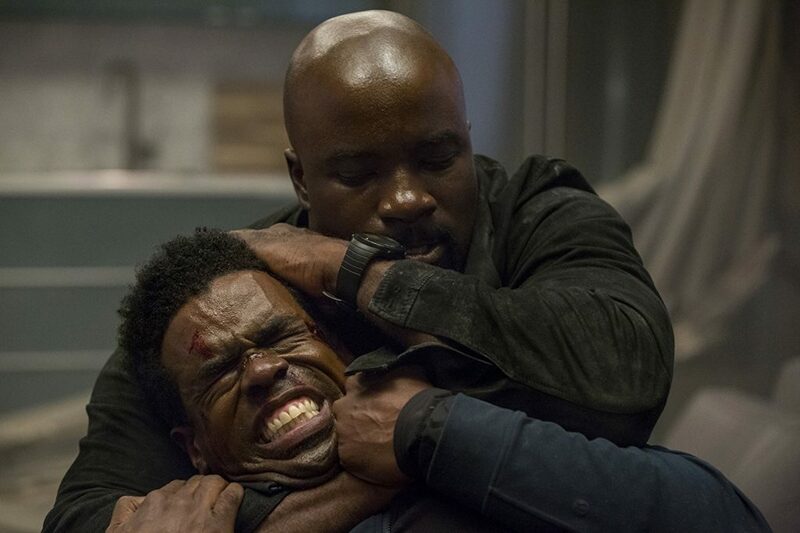 His fight scenes don’t impress me at all, even with Luke Cage by his side. 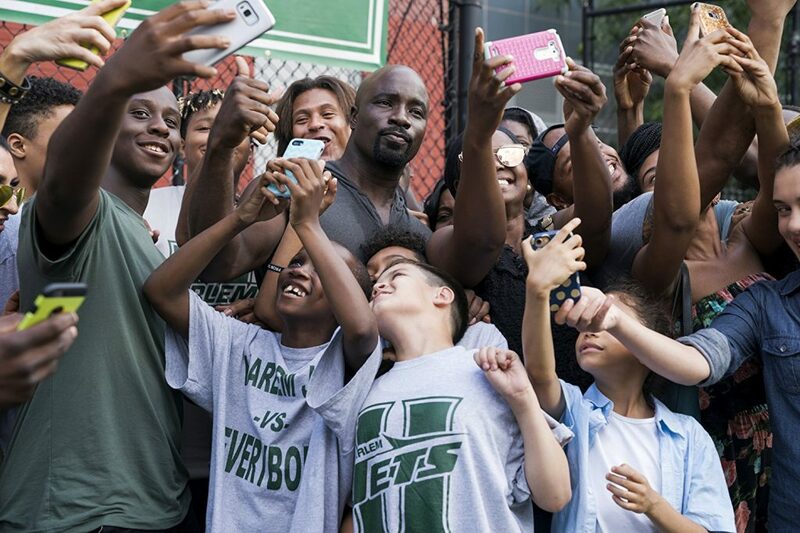 Mike Colter reprises his role as Luke Cage, the bullet-proof black man with super-strength. He’s become Harlem’s hero, a social media celebrity who everyone adores. Everyone he meets on the street always wants to take a selfie with him. He’s done a lot to clean up the streets and get rid of drug dealers and other bad guys. However, there’s a point where one character looks at Luke and says, “There’s nothing fun about you,” and that quote in Episode 10 can be applied to this entire series, which continues to be overlong. There shouldn’t be as many as 10 episodes with this much lack of fun. The reason it isn’t fun is because the problem persists from the previous season of a lack of a good enough villain. 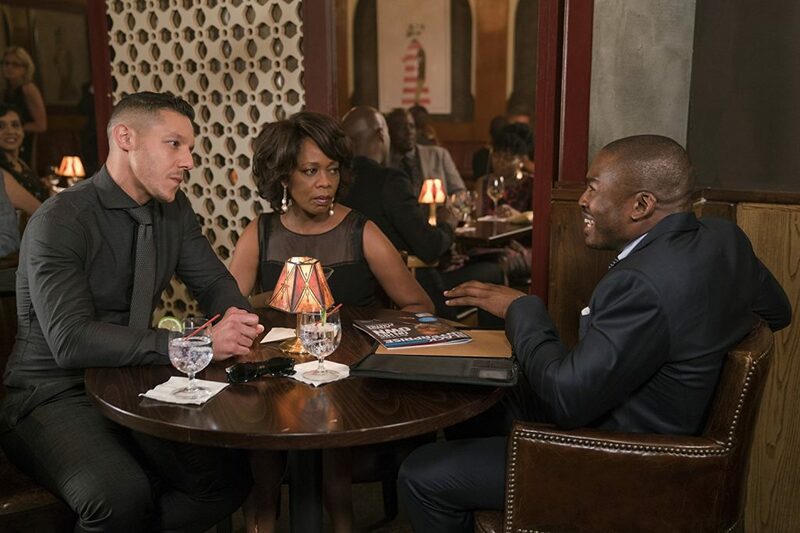 Alfre Woodard returns as Mariah, a politician-turned-criminal kingpin or rather queen-pin, but her and the criminals around her never measure up to what should be a more action-oriented show. Last year, Mahershala Ali played Cottonmouth, a character with the potential to be on the level of Lex Luther or the Joker. Yet, he was dismissed too soon and Mariah or “Shades,” played by Theo Rossi, just never achieve that epic level. Comparatively, they’re not even as interesting as Sigourney Weaver in The Defenders or David Tennant in Jessica Jones. 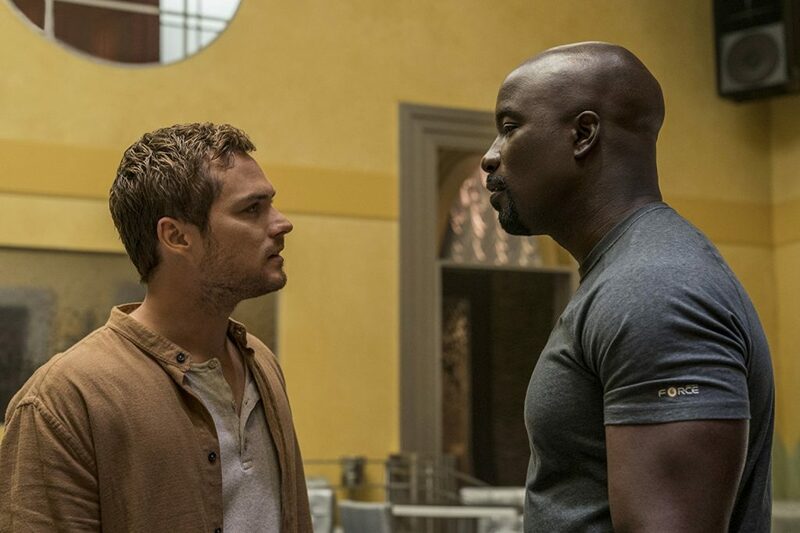 This show needs super-powered villains to match Luke Cage’s invincibility and strength. The show tries to give us that this season with Bushmaster, played by Mustafa Shakir. Bushmaster is interesting, but he gets lost in the pacing of this season along side all the stuff with Mariah that I ended up not caring about him or being that enthralled, even though he’s probably the sole reason to watch this season. Running Time: 1 hr. / 13 eps.